Seventeen years is a long time to wait for new music from a band you love. Fortunately, none of us (not even the band) knew we were waiting that long. 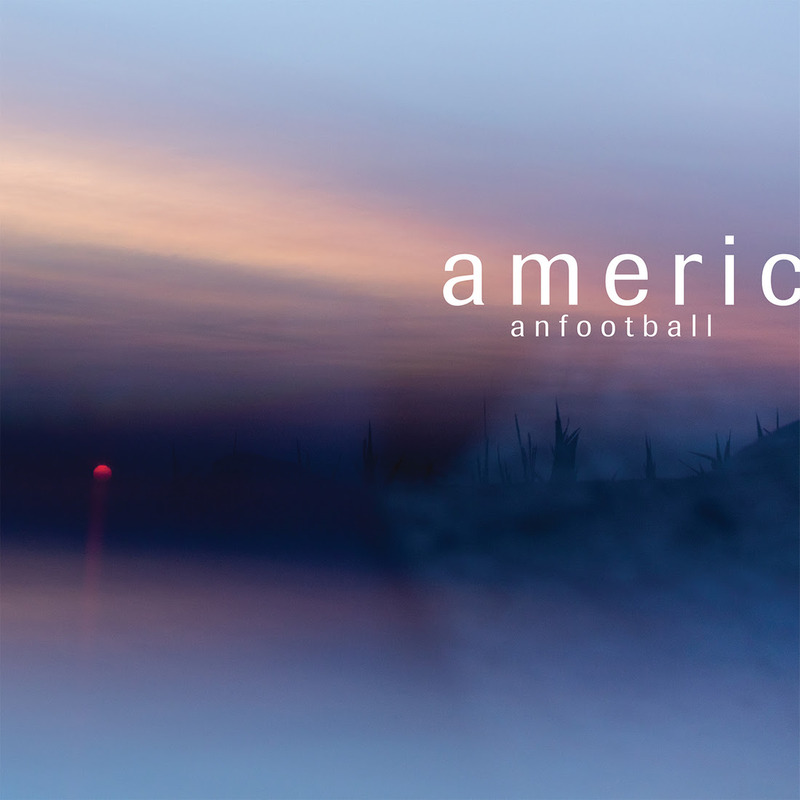 In 2014 American Football reunited, after putting out 12 of the most enduring tracks of my college years. In some ways the success or failure of this album was much like this year’s Vice Presidential debate: the players really just had to show up and not seriously mess things up. As the full band enters into this powerful opening waltz, the lyrics go on, “We’ve been here before.” Or as a Chinese proverb I recently discovered puts it, “Fallen leaves return to their roots.” These guys are back to their roots of making smart, intricate, and gorgeous music. But the vocals are stronger (and mixed louder), there is a bass now, the guitar tones are more varied, the drumming is just about perfect, and the production is what you’d expect if these guys had made major label status. There’s a sense in which LP2 sounds exactly as I hoped it would—but couldn’t have possibly imagined. The second track’s familiar arpeggios, string bends, polyrhythms, and harmonics could have just as easily appeared on the first record. But I don’t think even a die-hard American Football fan could have seen the pummeling drum and bass intro of “Give Me the Gun” coming. That rhythm section, that never existed in the band’s first bass-less incarnation, makes this album more than just an old band making a new record. To pre-empt those who will bemoan how much this record “sounds like Owen” (especially with the acoustic guitar intro of “Home is Where the Haunt Is”), I offer three thoughts. Mike Kinsella is one, undivided person, so for his work on other projects (Owen) not to influence this band (American Football) would be impossible. Steve Holmes’s guitar work (not to mention Lamos and cousin Kinsella on rhythm) fill out the songs in a way that set it apart from just about anything Owen–even with full band–has created. Band members shared the songwriting process, trading off who offered the first seed of any given song. The final track, “Everyone is Dressed Up,” is as much an instant classic as the album’s first song. The 6/8 time signature and return of Steve Lamos’s trumpet are a fitting end to this album, as are the poignant lyrics, “Our love will surely be forgotten by history and scholars alike.” The song is marred only by the final line of, “Everybody knows that the best way to describe the ocean to a blind man / is to push him in,” which, besides being unnecessarily demeaning (what is this, Donald Trump’s Twitter feed? ), sounds like it might have been the final pre-deadline lyric of the album. The final track and album needed a more convincing ending, worthy of all the goodness that preceded it. The nine tracks (the same number as the first LP) clock in at 37 minutes. After about five listens I found myself already wanting LP3! I hope the band stays together. They’re as in sync as ever, and the addition of Nate Kinsella’s bass rarely feels out of place, with the drumming of Steve Lamos being better than ever. Mike Kinsella and Steve Holmes might be my favorite pairing of guitarists, too—they haven’t missed a beat. Get started on this album as soon as you can: the trifecta of the first three tracks are pure bliss. Despite a few shortcomings, LP2 was worth the wait. American Football’s LP2 releases this Friday, October 21. NPR has a nice write-up of the song here. Pre-order information is right here, and pre-orders ship October 12. Whither American Football? October 21, That’s Whither! The funny thing about my American Football post yesterday is that I had it half written in my head before the social media new album tease yesterday. Those three Instagram samples were pretty convincing ( 1 / 2 / 3), but I confess that after a mere 20 weeks, I had started to lose faith in the second coming of American Football. Now they’ve confirmed that a new album is coming, October 21 on Polyvinyl Records. The new self-titled sophomore album from the celebrated band comes seventeen years after their debut. The first single “I’ve Been So Lost For So Long” is available to hear now on SoundCloud, and on all DSPs tomorrow, August 24th. The melodic phrasing calls to mind Owen more than early American Football, but, hey, it’s the same singer, and that same singer has made a lot of Owen records since the first AF. Fair enough. Pitchfork interviews the band here. And, we have a track list! Disclaimer: I write this post with no inside information about the band American Football. Just a great enjoyment of their self-titled LP and EP and a desire to hear more music. I’ve been checking Mike Kinsella’s Instagram page several times a week, ever since he posted three snippets of what must be new American Football music. I’ve listened to each one at least thirty times. Here they are: 1 / 2 / 3. Just to be clear (since I somehow missed this when watching the third one on my phone), there is new music here. The Twitter embed doesn’t work properly with WordPress, but click the url below to listen. They seem to hint that an album is coming…. I haven’t been this excited about a new album since I waited and waited for OK Computer and miraculously scored an advanced CD from a used CD store five or six days before it came out. So I’m bookmarking the American Football social media pages. I’ll post again here if (when?) a new AF album drops. In the meantime, we can all read (or re-read) this lengthy “oral history” of the band. On the one hand, it’s a post-Catholic-upbringing, anti-religious declaration of sorts. Or remorse for what I don’t believe? I know he’s being sarcastic (right? ), but it’s hard not to hold out hope that one of my all-time favorite artists would really mean words like that, words which sound like David or Paul, and which capture the essence of some of my own prayers. I think that last line–“so don’t try to sell me yours”–is the song’s interpretive key. The prayers were just at his “mother’s request,” and didn’t really work if he’s still feeling “the same: dirty and tired.” The prayer to “you, my Lord” is in scare quotes. Whatever he meant, the song, “I Believe” is one of my favorite Owen tracks out of his 9 full-length albums and handful of EPs in the last 15 years. Will you please touch mine with yours? This is, after all, the album of a man now married and with kids. “Empty Bottle” is as close as an acoustic guitar will get you to headbanging. By the end of the track, the album is already set to be as lush, intricate, and ethereal as anything Owen has done. His next line–“This is a test and I’m failing”–seems like an antiphon to Pedro the Lion’s “If this is only a test, I hope that I’m passing.” The music is sweet and textured. And then “Lovers Come and Go,” came on. I felt how I did the first time I listened to Owen’s 2001 self-titled debut. I don’t know if it’s the strings or the electric guitar overlays or the subtle but steady bass and drums, but it’s the kind of euphoric high that has kept me bobbing my head to emo well into my mid- to late-30s. Maybe I should have grown out of it by now, but songs like this only encourage me. …suggest that the song really is about marriage and fear of one’s self in the context of a long-term commitment. Melodramatic? Possibly. More vulnerable than many songwriters? Definitely. Owen’s back catalogue is full of not-exactly-pro-feminist references to women. Owen is not Mark Kozelek-level misogynistic, but at least the persona of some of his songs veers towards womanizing territory. Too many to list here, but songs like “Poor Souls” (from his 2002 No Good for No One Now) have likely made listeners wonder what songwriting on the other side of marriage would be like. “Tourniquet” offers a glimpse. Whatever else one could think about it, Owen is raw in articulating the wayward human condition, and how even marriage does not quell a wandering heart. (It might take finding Jesus to do that.) “Tourniquet” called to mind one of CCM’s most striking numbers: Amy Grant’s “Faithless Heart” of 1988, a song that caught her much flack from an unforgiving (and often disingenuous) Christian music industry. Like Grant’s confession, “Tourniquet” is a tough song to listen to but an important one. Which pills did I take? Were those bills ever paid? Then the song moves into a nice, long, instrumental groove. The distorted drums and almost-shoegazing lead guitar line and choral vocals are a new sweet spot for Owen and company. The album’s final track, “Lost,” is also its first single. Kinsella sings to “the last of [his] feral friends.” Could the “friend” be his former self? Subtle allusions to previous Owen lyrics make it possible. If this song is autobiographical (today’s Kinsella singing to yesterday’s Kinsella: “I see you but you can’t see me”), it’s a dour note to end on. Is he saying he really didn’t want the settled life? If he’s singing to a friend, there is the faintest hint of affirmation of the “settled down” lifestyle the artist has chosen (“you want what I have”), even while he knows “no one believes” his friend. Musically the song never resolves to the tonic, so maybe the cliffhanger effect is on purpose. After the strength of the first six tracks, I was hoping for something more final and summative at the end of the album, but maybe tension is how it has to end for Owen. The horns and string and pedal steel on the album will leave you wanting that instrumentation on many Owen songs to come. His songwriting is as good as ever. And King of Whys is hands-down the best-produced Owen album to date. Owen’s 2001 full-length record–his first–is still the benchmark against which I measure all of his albums. More than any other effort to date, King of Whys evokes the beauty of that first record. It’s a pleasure to listen to, and probably his most consistently good one since his debut. I’m already eager to hear where he’ll go next. Thanks to the musical powers-that-be, who sent me an early download of the album so I could review it.